Wow, check out this simple re-upholstered stool from Pudel - Design! 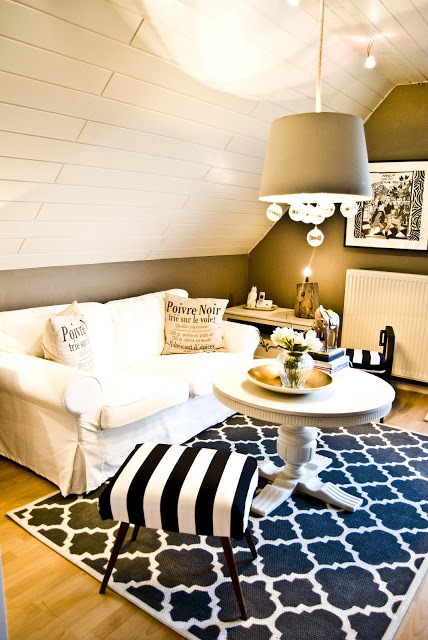 Love the graphic black and white combinations here...and how they pop against the neutral furnishings in the room. Amazing but this quatrefoil rug is hand painted! Get the scoop on it all here at PD. Such things really made my days! Thank you Jane! I follow Finding Fabulous. Love your blog. I liked Ellis and Wiles on FB. Thank you for introducing them to us. 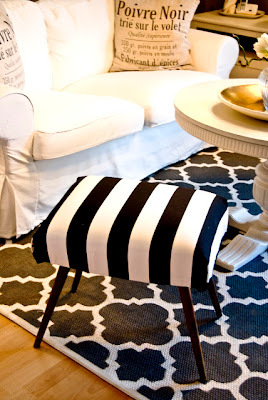 The stool looks great with the black and white stripes color.